I'm very bad at growing things in my yard. Very bad. In my defense, we've moved a lot in our married life with most of the homes we've lived in being properties we purchased with the plan to turn them into rental properties. I always felt like I didn't want to put a lot of work into a yard that I wasn't going to be mine for very long. "Someday," I always thought, "I'll figure this thing out and grow some beautiful stuff." There was plenty of time to learn....until two years ago. Two years ago we had our first Senior in high school. Senior years are exciting times that end in a grand celebration called an Open House. An Open House is a time for you to invite everyone you know to come over to your house and celebrate your Senior's accomplishments by eating food and cake IN YOUR YARD! I suddenly had a deadline for turning myself into a person with a green thumb. I know that I have severely stunted abilities in this area, so I called in my friend who has an expert green thumb for reinforcements. She helped me weed and plant and learn. We had a beautiful open house with a yard full of beauty. And I was hopeful that I had learned enough so that the next year, for Trevor's Open House, I could pull off a similar win in the yard unassisted. As spring came, I planned and purchased and potted. I watered and mulched and weeded.....and as I did I found an unexpected surprise..... this cute little pansy, growing on it's own in the crack of our front porch steps. I reached down to pull it out along with the rest of the crack weeds, but then hesitated. It was so pretty, didn't seem right somehow to pull it. Pansies are some of my favorite flowers. They remind me of my grandpa who used to like to plant them. It seemed unfair to pull out something beautiful just because it showed up in the wrong spot. 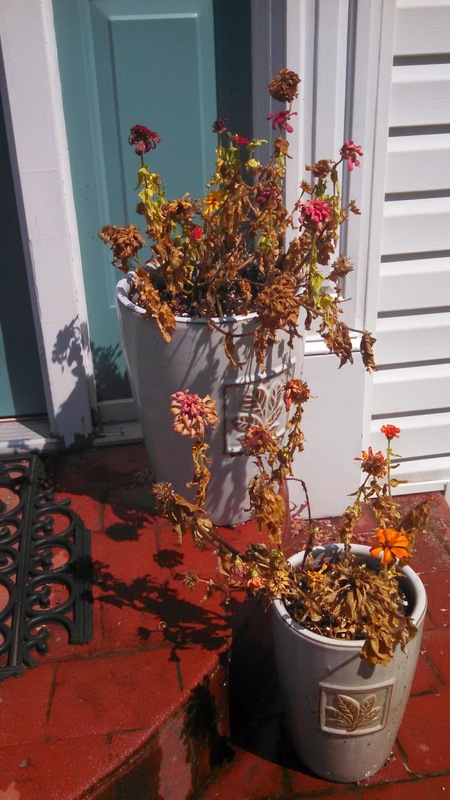 I decided to let it stay in my front porch crack as long as it wanted to and moved on to continue weeding nearby. I wanted that sweet little pansy to remind me all summer long that beauty should always be celebrated......even when it shows up in unexpected places. The beauty that God sends into Moms lives is often like this little crack pansy. We don't plant it, it just appears. It surprises us when we're focused on a project or deadline and we have to decide whether to be annoyed by it or blessed by it. It often shows up in places that we wouldn't have chosen for it to be ourselves.....it's actually kind of in the way. An unexpected pregnancy can feel a lot like a crack pansy. We wanted to add a baby #5 to our family, but our plan had her arriving a year or two farther down the road than she did...when our life felt more settled and I thought I might have more energy. The day that I encountered two little lines on that test was a Crack Pansy day. I had to take some deep breaths and choose celebrate the beauty that God had planted in my life. My joy depended on my ability to see what God had given me as a gift, something that He had chosen for me....instead of focusing on the obstacles and change it caused to my plan. I really do believe that children are a blessing from the Lord. I really do. 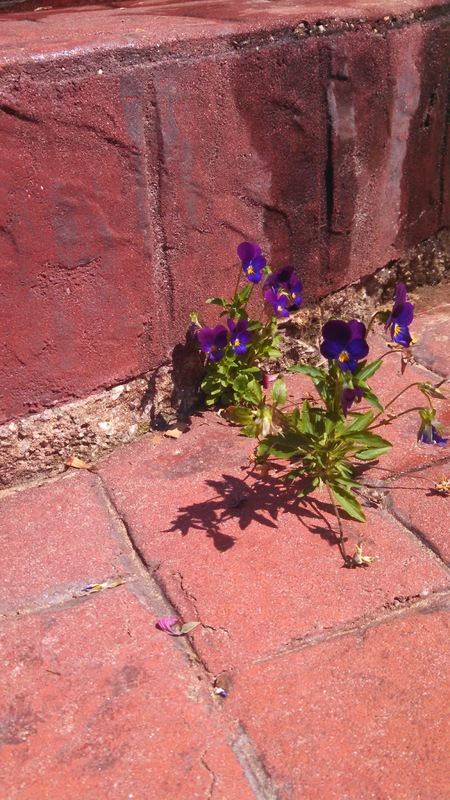 A beautiful gift is still a gift even when it shows up in the cracks. I wrote about what a special gift she's been a few years ago on her birthday, you can read it here. There are a lot of moments in a Mom's life that are Crack Pansy moments....a time when you have to remind yourself that beauty must be celebrated....you'll miss some important moments and a whole lot of joy if you don't. The time when your children make you breakfast in bed on a day when you really needed the kitchen to remain clean. The day you finally had an appointment to get your hair done and school calls to let you know that one of yours has thrown up and you're going to get to spend an unexpected day at home with them. We face the choice all the time.....celebrate the beauty that's before me, or be annoyed by it? By the end of the summer, another Crack Pansy lesson became clear to me. The beauty that God plants thrives exponentially better than my best efforts and cultivating beauty according to my plan. My joy depends on how well I learn to appreciate the beauty that grows in the cracks. 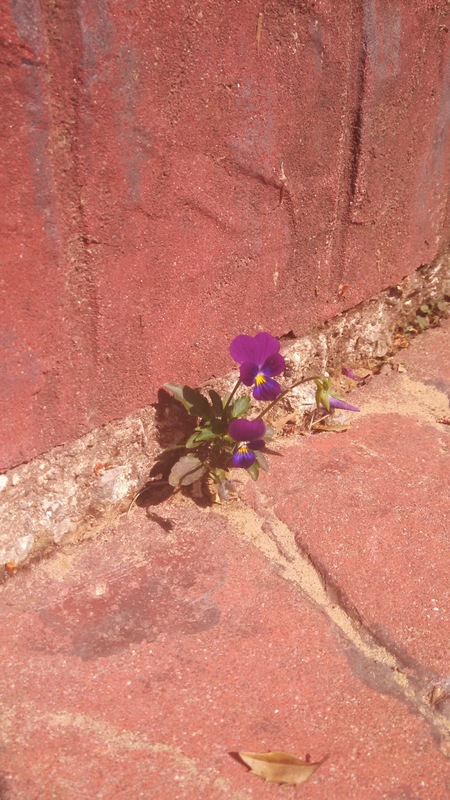 But the Crack Pansy that was growing just a few inches away???? Thriving. God knows what He's doing in your lives sweet Mommas. Learn to love His plan more than yours and see the beauty growing even in the cracks of your life. That, my friends, is the secret to real joy. Absolutely beautiful! You bless me. Love you and the truth you speak!!! I think that video might be tomorrow's post.....so awesome! !